We Say NO! We Want Waste Connections to Go! 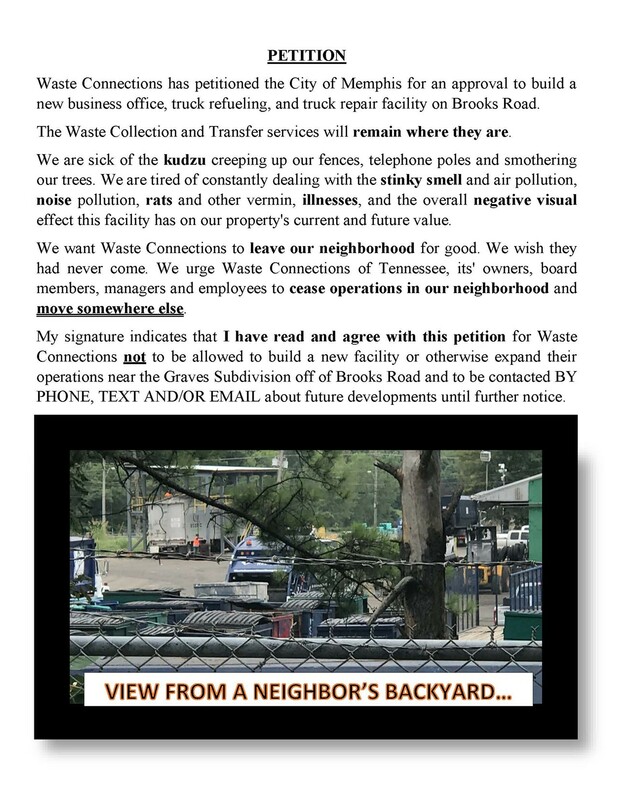 Join the McCorkle Road Neighborhood Development Association, Inc. of Memphis for a discussion and petition signing event against Waste Connections of TN. Call for more information.